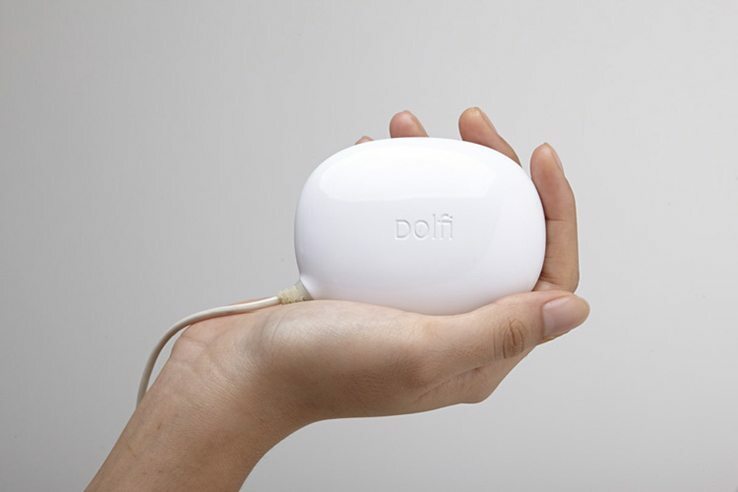 The vibrations emitted by this palm-sized plastic device are powerful enough to clean and deodorize a small load of laundry, making the process of washing delicates easier and less damaging than ever before. 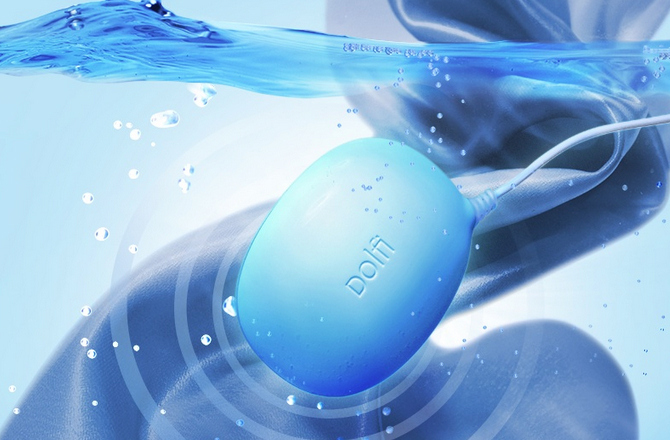 The Dolfi, an ultrasonic device, is designed to be dropped into a small tub of water along with clothing and detergent to deep-clean textiles all the way through, instead of just rubbing the surface like mechanical washers. 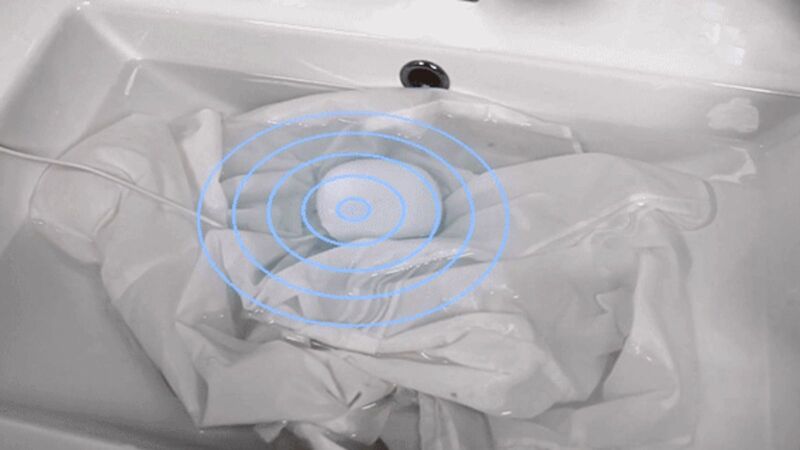 This ultrasonic cleaning device can’t replace an entire automatic clothes washer, since it’s only recommended for up to 4.4 pounds of clothing at a time and can’t rinse or spin your clothes, requiring a little bit of effort on your part. 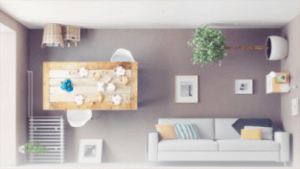 But, it’s more effective for cleaning small amounts of laundry than hand-washing, and won’t degrade delicate textiles like regular washing machines. Sound waves travel through the water and form microscopic high-pressure bubbles, which implode, creating millions of micro-jet liquid streams that blast dirt out of the fabric. 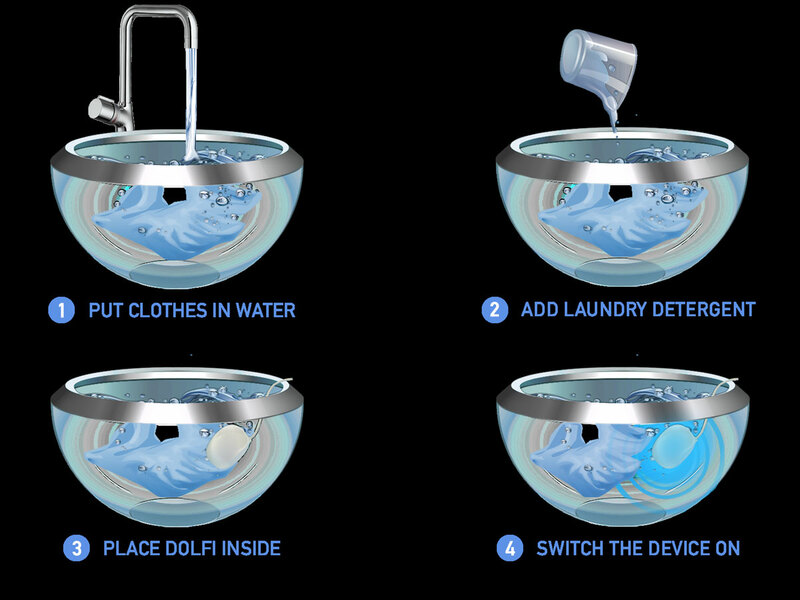 The process takes 30-40 minutes and uses about 80 times less energy than a standard washing machine. The highly portable design makes it ideal for doing small loads of laundry while traveling. 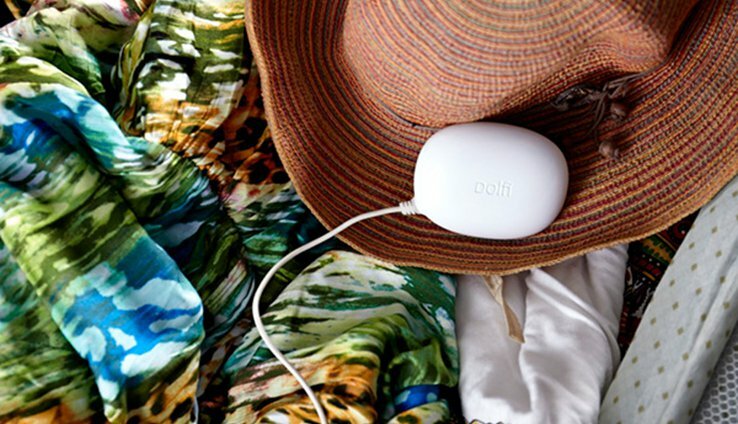 Support the IndieGoGo campaign, which is open until February 19th, and you can choose from a number of rewards, including a ‘Stay Fresh’ set that includes the Dolfi device, an inflatable hanger and a sink stopper.